According to Google, starting in April, 2015 it's more important than ever to make sure your website is designed to be mobile-friendly. They also call this responsive web design, because when programmed correctly the website will respond according to the screen or device that loads it, and adjust appropriately. There's a major benefit when you build your website in this way. To build a native app a programmer works in compiled computer code which is in a different language than what any website is programmed in, and this requires skill, time, and money. As many of you know already, a website is a "living" document, or set of documents that are constantly changing. When changes need to happen, as they often do whether it's in content or functionality, your HTML based website can be edited fairly quickly, especially if it's using a modern CMS. On the other hand, if your natively built app needs an update to content or functionality, you need to pay somebody to edit program code like C#, compile it, and send the update to a server. Do you want to do this, or login to your CMS and make a few changes quickly, hit save, and have them appear immediately? You can learn more about this important Google mobile update directly from Google. Moreover, another study by Eric Enge measures the impact of the update by comparing rankings of websites prior to the update and after. 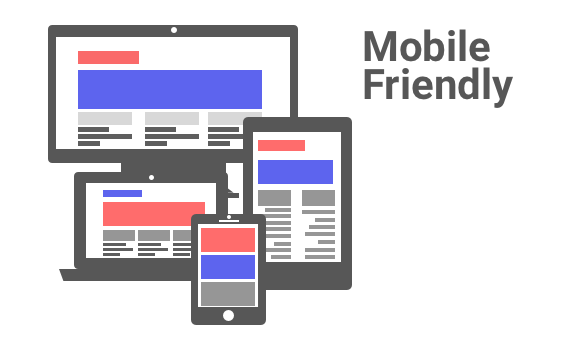 This study found that nearly 50% of non-mobile-friendly sites lost rank. Now that you've heard it from Google, lets get to work on your new or existing website - we'll make sure it's mobile-friendly so that you can keep your business at the top of the search results.